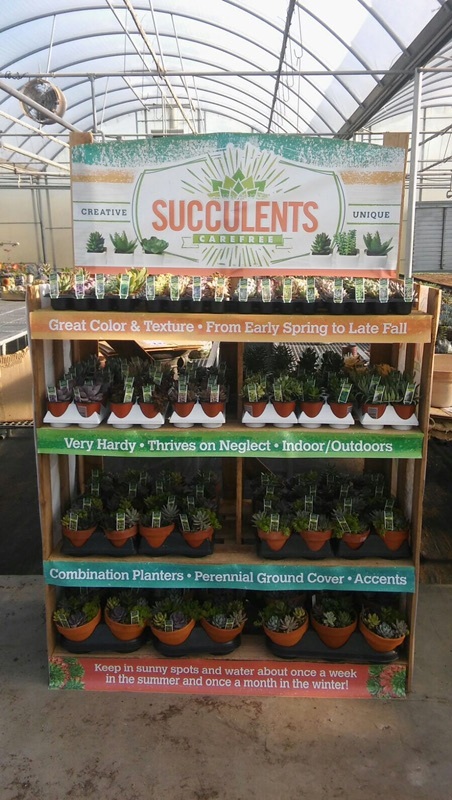 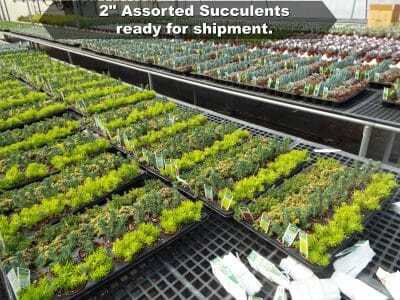 Home/Perennials, Press Releases/Introducing a New Item for Retailers… Succulents! 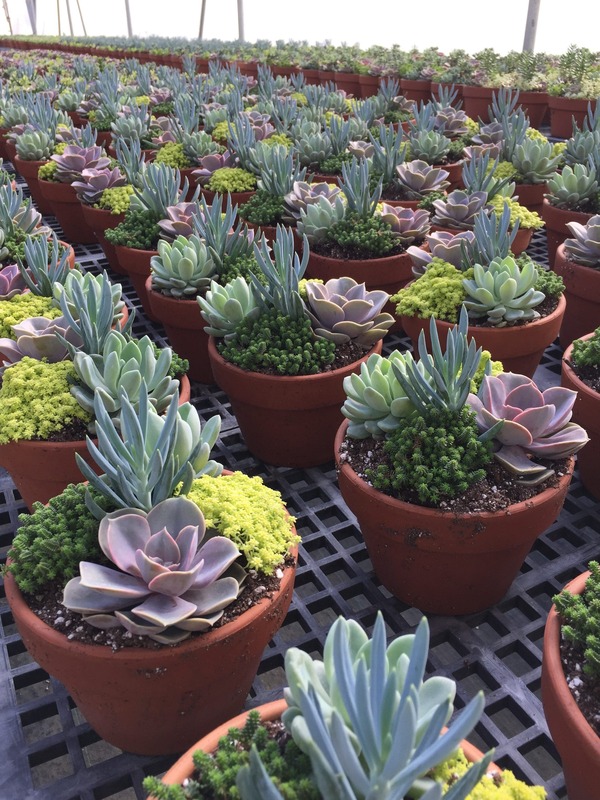 Introducing a New Item for Retailers… Succulents! 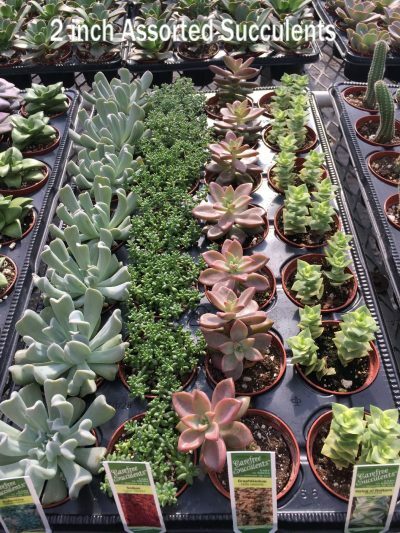 There are many different uses for succulents ranging from drought tolerant landscape plants to floral arrangements for weddings. One of our favorite uses for them is succulent combos. A succulent combo can be anything from a one of a kind tea cup with a few plants to very large containers. 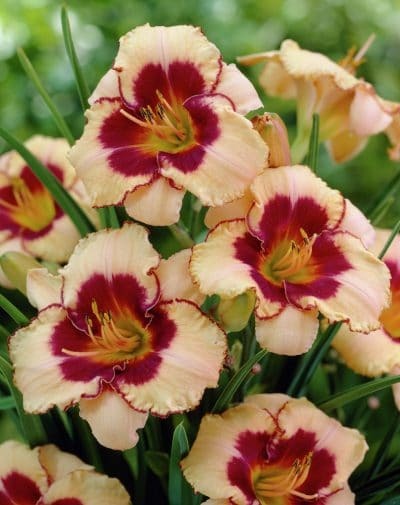 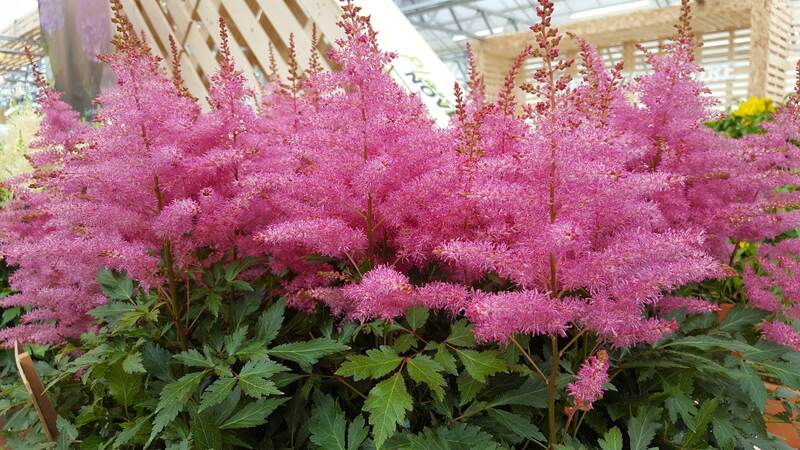 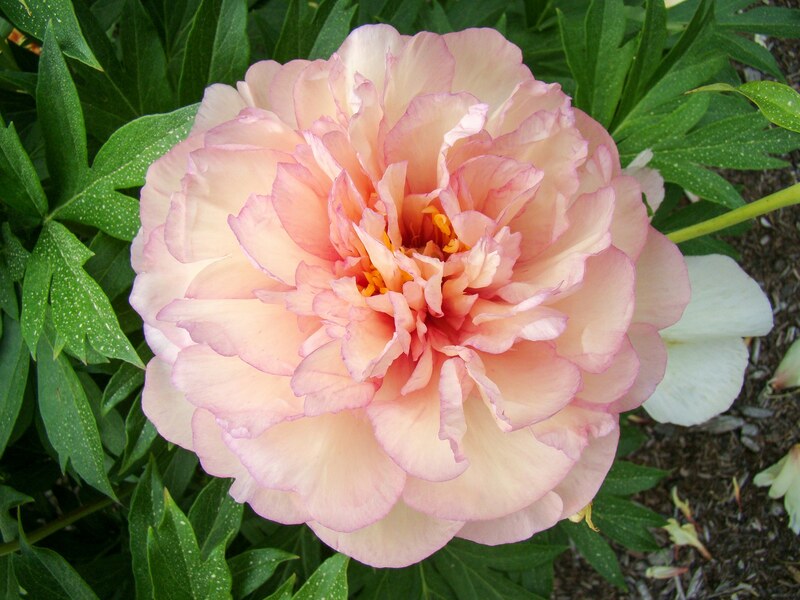 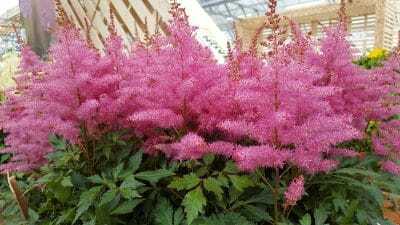 They are adaptable to many conditions and as long as they are not over watered can be easily grown. 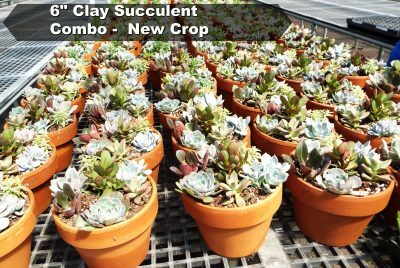 De Vroomen offers a beautiful retail succulent rack with 2″ Succulents, 3.5″ Succulents, 4″ Clay combos, and 6″ Clay combos. Our succulents are grown to be tough. 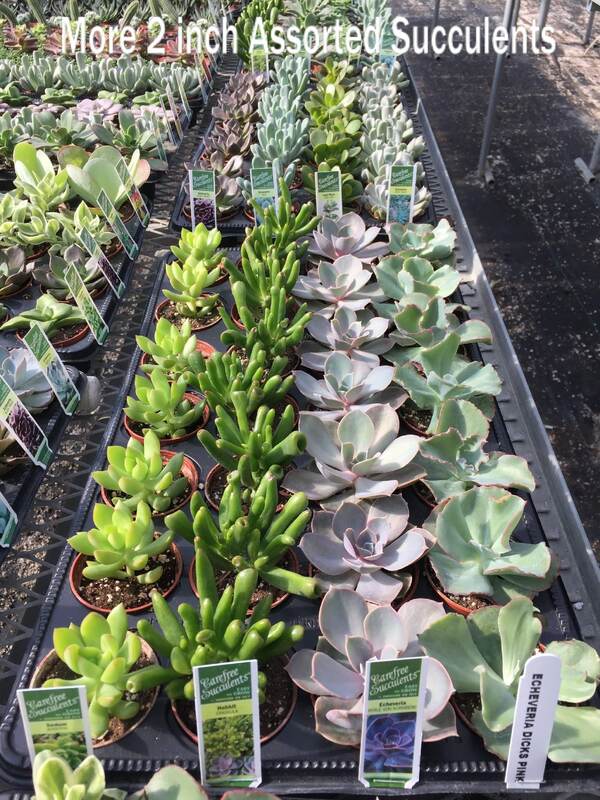 Most varieties require little attention and if given appropriate light can thrive on neglect. 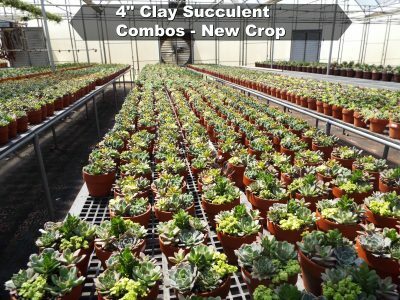 Succulent combos need to be watered once every 5-10 days depending on the weather and if the pot is located inside or outside. 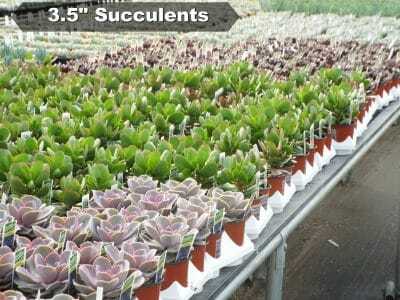 Many varieties can go up to a month without being watered and still be alive. They do great planted in just about anything which can lead to some very creative containers and plantings. 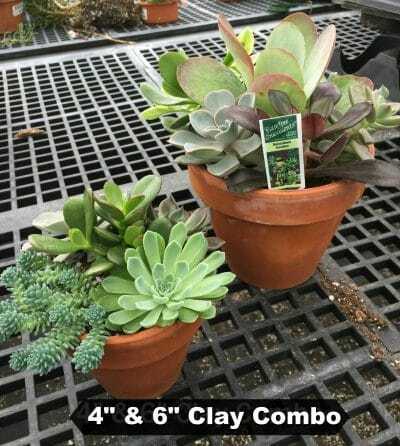 NOTE: Images are examples and may not exactly resemble the product sold.